A pet is one of your most valued possessions. They are timid and should be delicately handled. However, caring for pets can be challenging. 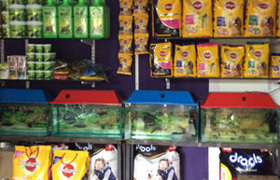 One Stop Pet Shop makes it simple & convenient for you. The shop deals with a huge collection of pet accessories in Dubai so that your beloved friend does not miss out anything. Choosing the right food supplies and accessories for your pet should be done carefully. This pet accessory shop in Dubai presents a huge selection of supplies for dogs, cats, small pets, birds, fish, amphibians and reptiles. Find One Stop Pet Shop on Petterr to have the best quality for your pets.